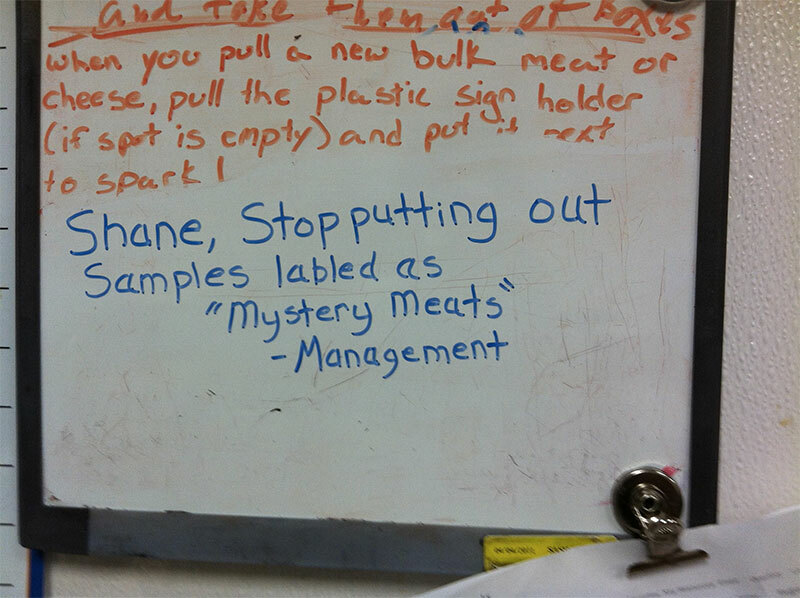 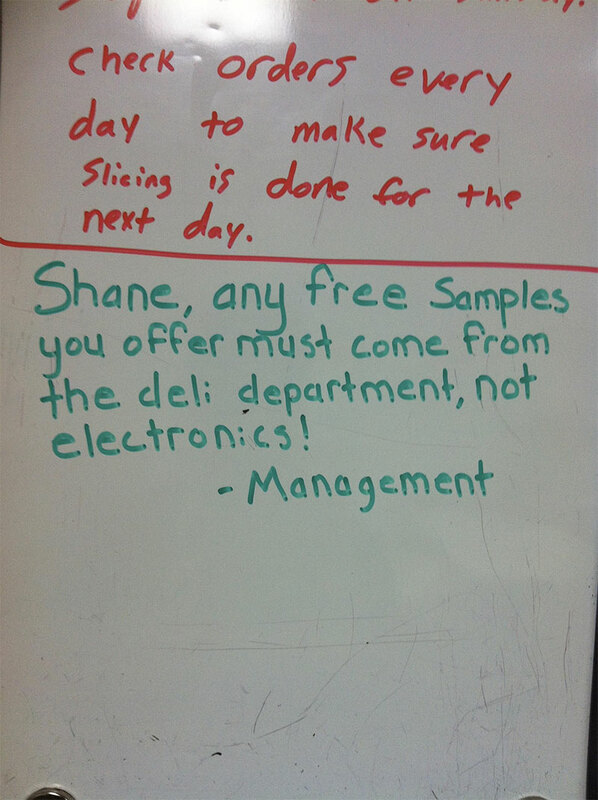 This is the tale of Shane, a Walmart deli counter employee. 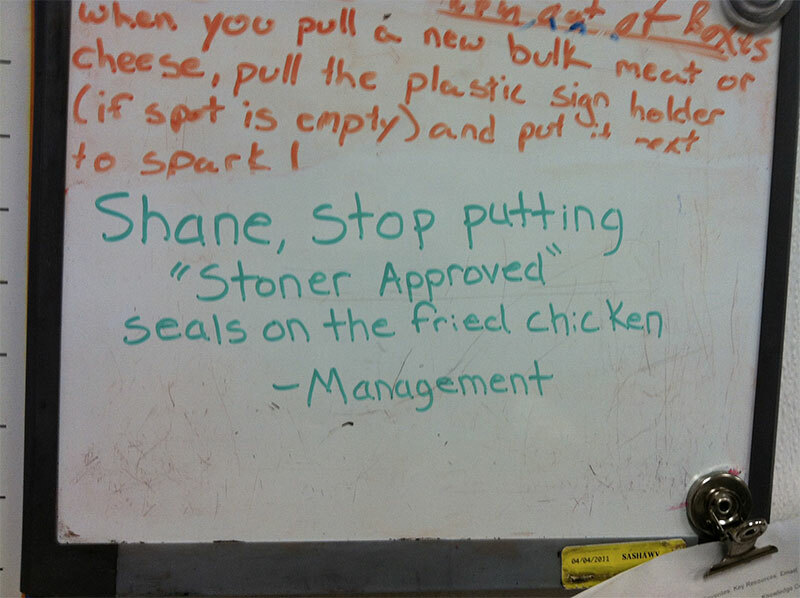 Shane also has a special, calculated knack for driving his bosses crazy during the work day. 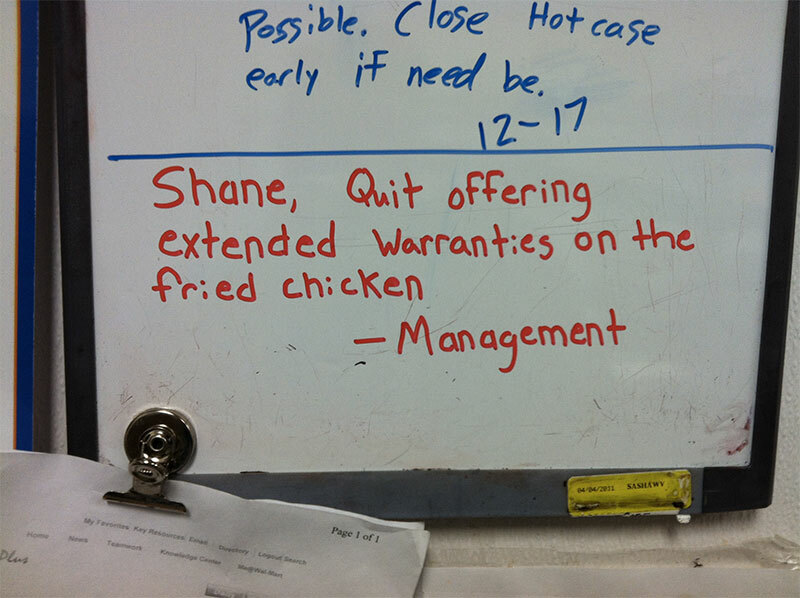 It's a surprise he's not fired, but he's continuously being scolded for doing things such as offering customers extended warranties on the fried chicken and cheekily labeling certain deli products as "stoner approved." 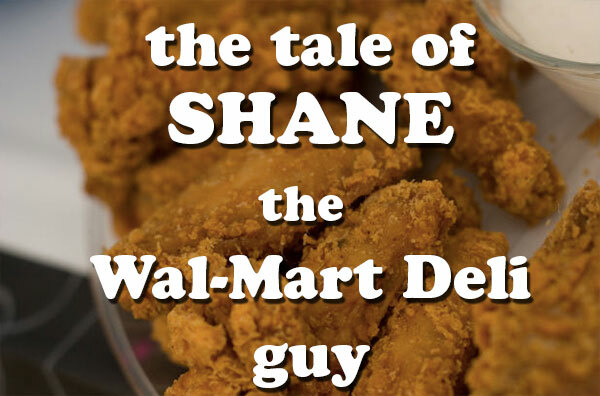 Shane's story is told through a series of pictures snapped by his co-worker, Reddit user Ardentleprechaun. 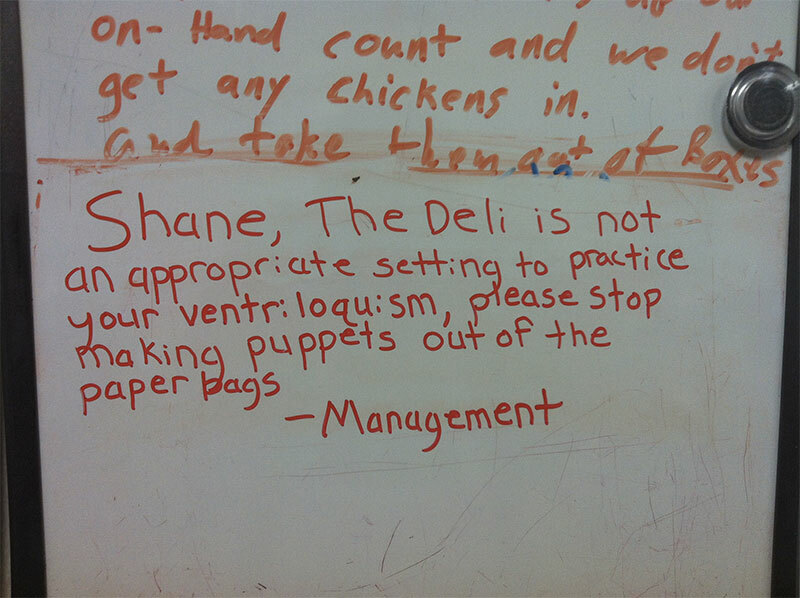 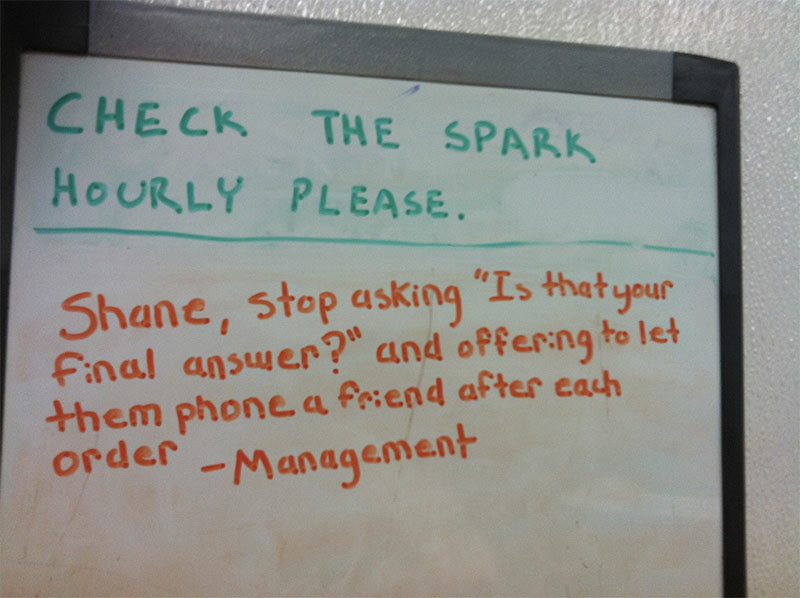 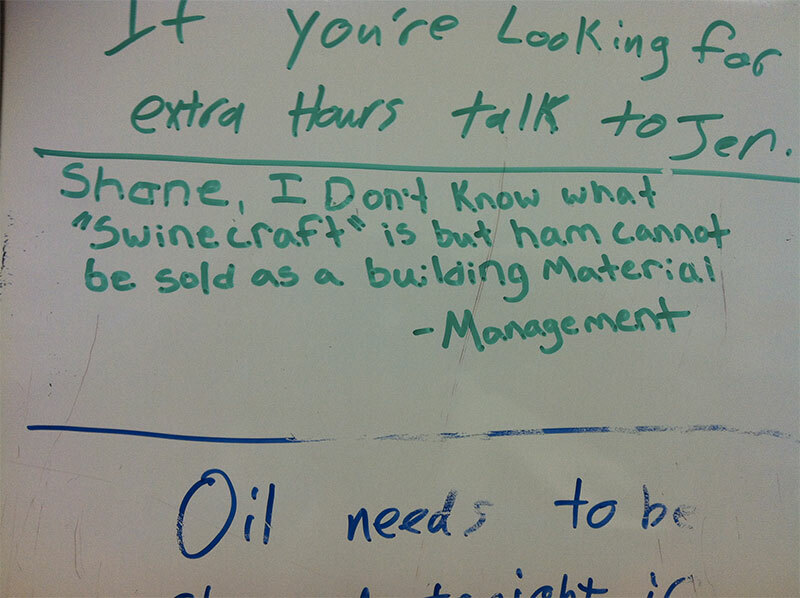 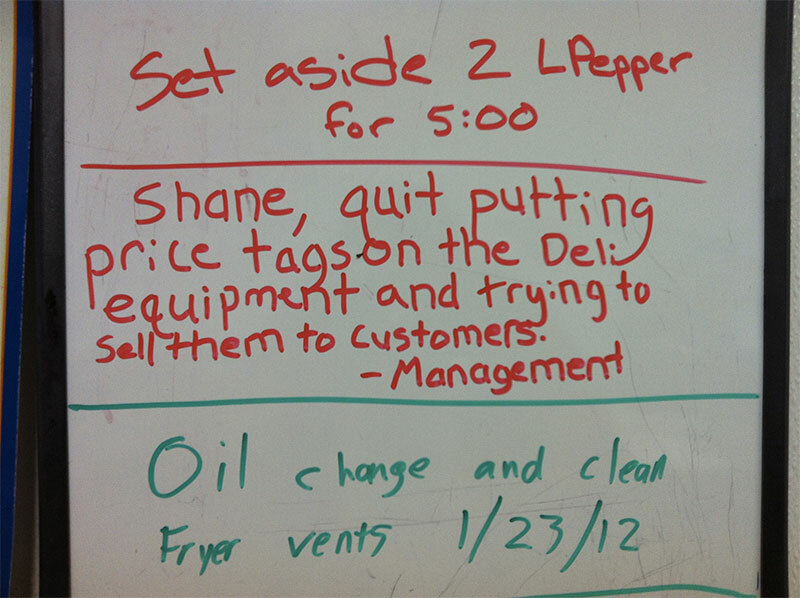 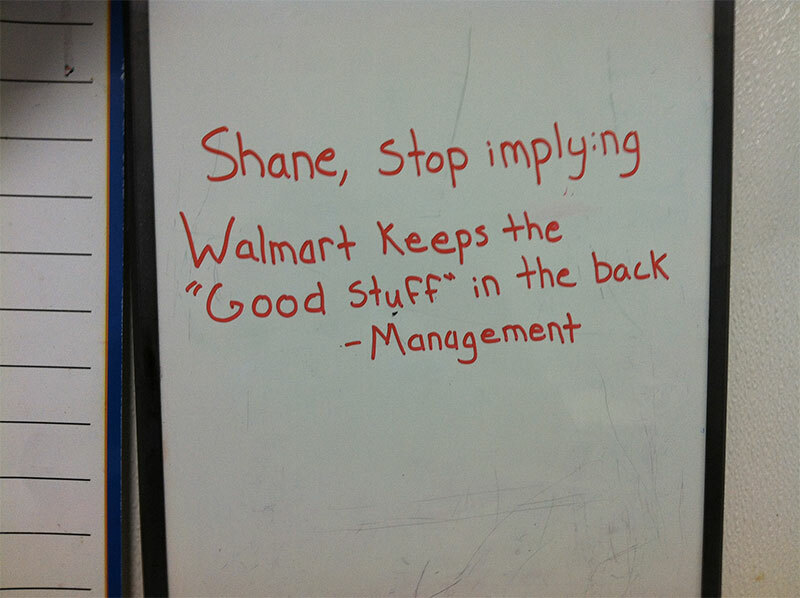 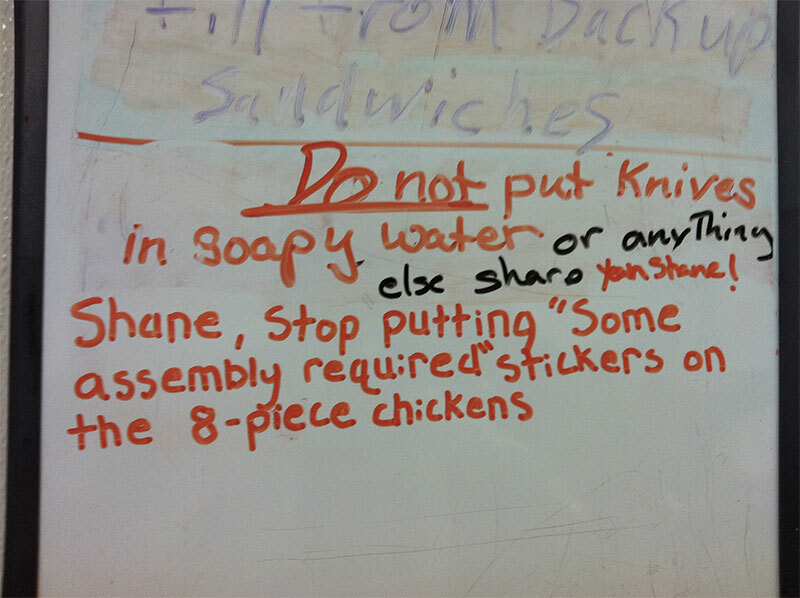 The documented pictures expose Walmart back-room whiteboard, where -Management has to repeatedly scold Shane through written warnings. 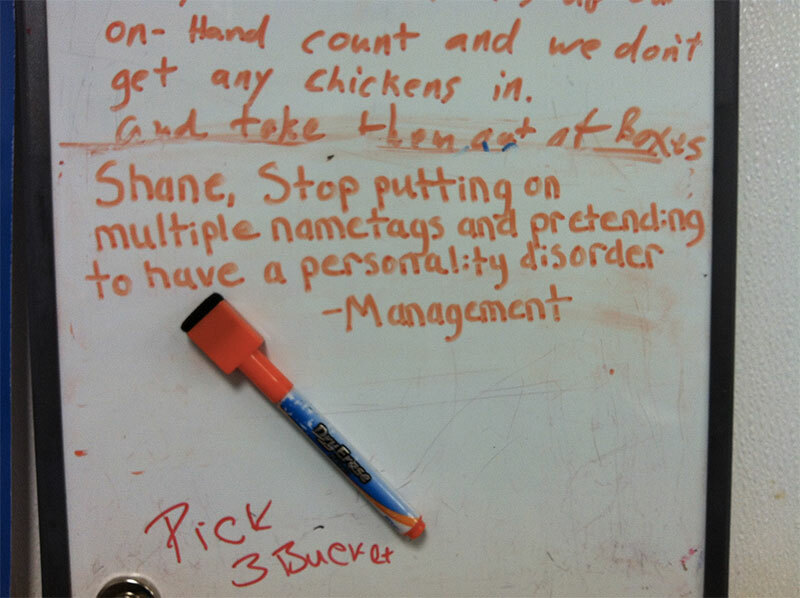 As with any story with minimal documentation (Ardentleprechaun's pictures are currently floating at the top of Reddit.com), we're going to assume, for the sake of storytelling, that Shane is a real person, and that these notes from -Management are real as well. 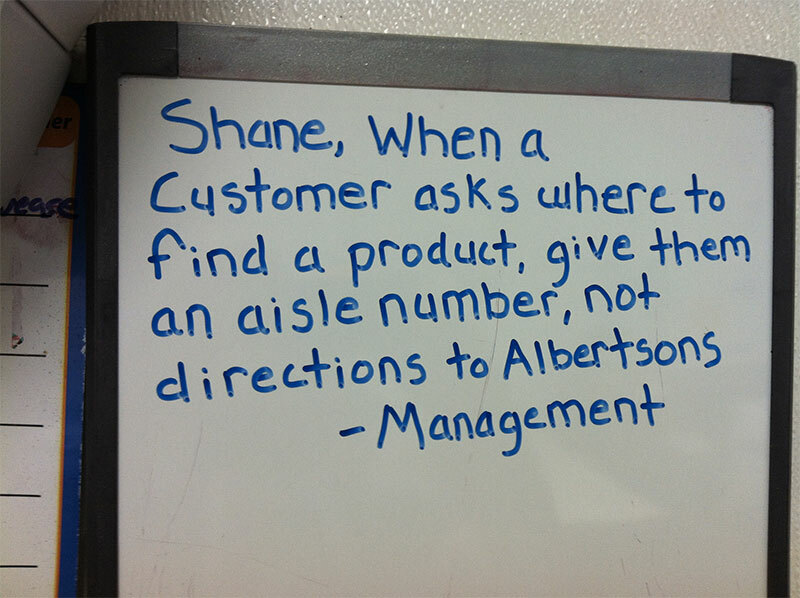 Shane, if you're reading this, I hope you keep walking the line of playful customer interaction and staying employed by Walmart.